A rival to the Honda Activa. As we reported earlier, Hero Motocorp is planning to launch four new two wheelers, two scooters and two motorcycles with their own engines, of which, the sub 150 cc motorcycle was spotted testing recently in the wild. 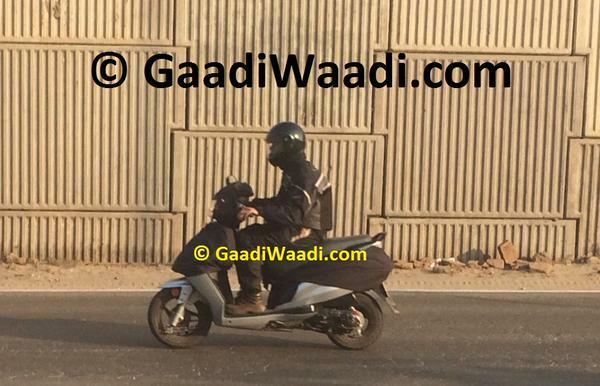 This time its the company’s Dash 110 cc scooter that has been caught testing. The Dash is powered by a 111 cc engine. The Dash is Hero’s answer to the mighty Honda Activa and Yamaha Alpha and is targeted towards male buyers, offering some nifty features. The Dash scooter was one of the machines that Hero showcased last year at the Auto Expo and would come with a sporty exterior that consists of sharp lines. The 111 cc single-cylinder, air-cooled engine that powers the Dash produces 8.44 bhp and 9.4 Nm of torque. The scooter employs telescopic forks at the front as a part of the suspension system while it rides on 90/90/12 front and 90/90/10 rear tyres with alloy wheels. For braking, the Dash uses a drum brake setup both front and rear. The Dash will see features like alloy wheels, external fuel tank lid, digital cluster and so on. The Dash will be offering some handy features such as an external fuel lid, mobile charging socket, low fuel and side stand indicator that would be displayed on its digital instrument console. There would also be an under-seat storage light. 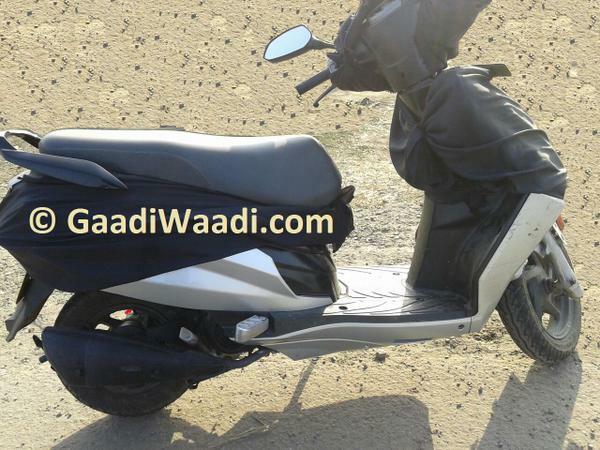 The scooter would be positioned above the Hero Maestro and would be priced marginally higher at a cost of around Rs 55,000, ex-Showroom.